Daniel J. Goldberg is a member of RIW’s Litigation Department and practices principally in the areas of construction litigation and business disputes. 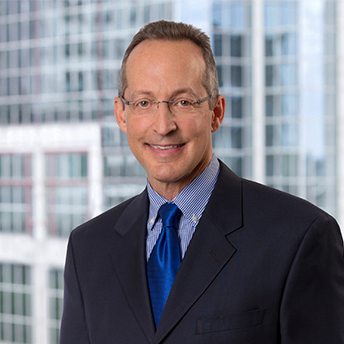 He recently served as Chair of the Specialty Trade Contractors and Supplier section of The American Bar Association’s Forum on The Construction Industry. Mr. Goldberg has more than twenty five years of experience handling issues arising from general business contract disputes and construction projects at both the state and federal levels. His representation includes national suppliers in connection with significant bond and lien claims, and he has developed a unique bond and lien process for major suppliers which efficiently tracks multiple matters at the same time. Mr. Goldberg has written extensively about and teaches seminars on bonds, liens, and credit issues and spends extensive portions of his practice drafting, negotiating, mediating and litigating contracts. While at Suffolk University Law School, Mr. Goldberg was a member of the National Moot Court Team. He was also a Contributing Author and served as Comment Editor of the Suffolk University Transnational Law Journal. After graduating from law school, Mr. Goldberg served a clerkship with Chief Justice Frederic Allen of the Vermont Supreme Court. June, 2011: So you've been sued? April, 2011: I've made a bond claim - now what? March, 2011: If a job is bonded, are you certain you'll be paid? February, 2011: You mean I can’t lien the job? January, 2011: Who owns whose contract terms? Dan Goldberg moderates panel "Tough Litigation Tactics in Tough Economic Times: What are you Encountering and How Do You Respond?"